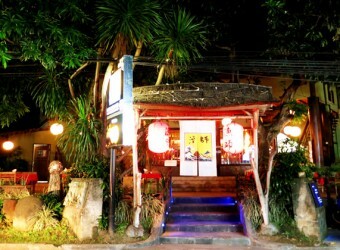 Bali Restaurant Ryoshi is a popular Japanese restaurant among foreigners and Japanese people who living in Bali. There are 4 branches and sister restaurant chain. You can find the restaurant in Seminyak, Kuta, Sanur and Ubud. Guests can enjoy Japanese food at an affordable price, that's why this restaurant is popular!! Ryoshi Restaurant is good for meal with the family. I didn’t eat Japanese food for a while since came to Bali so I went to this restaurant. It’s no match with high class Japanese restaurants in Japan, but the food tastes of this restaurant are pretty good. And I think this restaurant staffs are nice and friendly!